Conformity with the law: MDD 93/42/EEC obliges the manufacturer to define the modalities for performing maintenance as outlined in our Spencer user manual and in compliancy with the safety and device certification. This maintenance can be carried out only by only qualified, authorized personnel. Increased device reliability and safety. Periodical maintenance makes devices more reliable and safer for both us and for others. Lower costs for you: regular maintenance and controls mean a realistic reduction in the extra and unexpected maintenance costs. Higher quality for the service you are offering: correct maintenance means that your vehicle will never have to be put off road due to non conforming devices. According to the law, the manufacturer has to determine who can carry out maintenance. 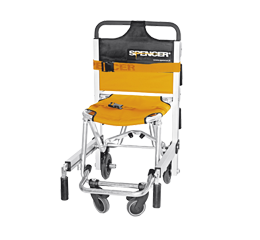 Spencer authorises only skilled, qualified technicians as indicated in the product user manual. Contact us at +39 0521 541111 to find our authorized Spencer centres. Safety must be guaranteed by the manufacturer from the very first day that the device is on the market. Only the manufacturer knows everything about the device he has made and for this same reason he is the only one who can do a correct maintenance, using original spare parts and in a timely manner. Special Maintenance Plan Associations: for those companies who have to manage a large assortment of devices, we offer the possibility to train their engineers to carry out extraordinary maintenance on their Spencer devices. The Spencer product manuals are available on the spencer.it website, on the page of the product you are interested in. Exceptions are items whose simplicity and intuitive and predictable use are such that in addition to the warnings and instructions on the label, the drafting of a manual is not necessary. damage caused by incorrect storage by the Customer. This warranty does not limit the rights of the buyer stated by the valid international laws applicable, nor the Customer's rights towards the distributor originated by the purchase contract. The costs and the risks connected with the transport for warranty servicing will be on charge of the buyer. The Manufacturer will take no responsibility for any kind of direct or indirect damage to persons or things caused by the improper use of the product or for failure to operate during the time necessary for repairs. The technical repairs service can be carried out exclusively by the Manufacturer or by an authorised assistance centre as indicated by Spencer Italia S.r.l. a socio unico. completed damage notification form (to be required to Spencer Italia S.r.l. a socio unico) indicating clearly the fault. Articles sent with the incorrect or incomplete documents will not be considered for warranty. Failure to pay for previous servicing, automatically causes the suspension of the warranty service. With regards to the warranty servicing, in particular conditions, Spencer can decide to repair or replace (with a new replacement product or one including recent revisions) the product or its components or also to offer, on its own exclusive decision, the total compensation for the price of purchase. In case of reimbursement, the product must be send back, on the Customer's charge, to Spencer Italia S.r.l. a socio unico who on receipt will again become legitimate owner of the product. When repair is not possible and the product for which the warranty servicing is required is not still in production, Spencer Italia S.r.l. a socio unico has the faculty to replace the product with another with the same quality and technical performance or to offer to the Customer the technical update of the product. The same is valid for the use of components/spare parts non identical but functionally corresponding to the ones replaced. The repairs servicing and/or replacement, at the conditions stated in this warranty, does not determine any extension of it, nor the renewal of its validity in time. Spencer Italia S.r.l a socio unico reserves the right to contest the validity of the warranty certificate when after objective checks, it is found that the product functioned correctly for a long time before the date indicated as date of purchase. Any complaints about the appearance of the products (apparent defects) must be notified to the Supplier by registered letter with return receipt: Failure to do so within 7 (seven) days from the date of receipt of the products will null the warranty. Any claims relating to defects not detected by careful inspection upon receipt of the products (hidden defects) must be notified to the Supplier by registered letter with return receipt. Failure to do so within 7 (seven) days from discovery of defect if within twelve months of delivery wil nulla the warranty. The warranty to the end users for items sold to distributors, will be recognized only if they have communicated to Spencer the details of the sales transaction with a document such as a transport document or invoice. The Customer will lose any rights for warranty in case even of partial incompliance, in terms of payment. The above warranty does not extend to accessories, components, materials and/or equipment that were not produced by the Supplier. For any dispute arising from the interpretation of this warranty is defendant the exclusive jurisdiction of the court of the place in which the Manufacturer is located. Learn how to improve the performance of your devices while saving money. Subscribe to our Spencer newsletter or check our periodical Spencer offers on this website. Don't forget that you can update your emergency devices at any time. Choose the accessories and solutions to improve the performance of your emergency devices now. 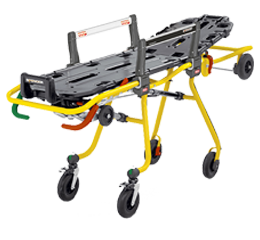 Spencer Care was founded with the ambition of ensuring the highest levels of productivity and durability of our emergency devices thanks to a maintenance service and high quality technical support. Our technicians are at your disposal to ensure system efficiency and maximum return on your investment. This development in the services we offer is only possible with your help. Let us know your opinion about the service you receive. It's great to hear that you're happy but it is also essential that you let us know if you are not completely satisfied. We measure ourselves on your opinion and as our intention is to improve our ability to answer all your requirements, we would like to ask you to complete the customer satisfaction questionnaire.